Indonesian officials have arrested seven suspected members of a trafficking network that sold at least 40 Komodo dragons, along with other rare species, through Facebook and other social media platforms. Komodo dragons are found only in Indonesia and are a protected species, which means the suspects could face up to five years in prison and up to $7,000 each in fines for trading the animals. Six baby Komodo dragons were seized from the suspects, and are now being cared for by conservation officials ahead of a possible release back into the wild. 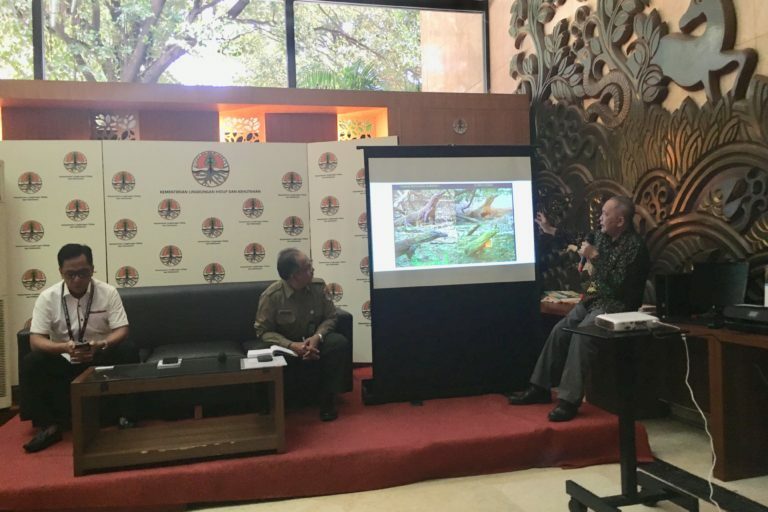 The arrests have highlighted the dominant role of social media platforms in facilitating the illegal trade in Indonesia’s protected wildlife, with up to 98 percent of transactions believed to be carried out online. Police are holding five of the suspects in Surabaya, in East Java province, and two in Jakarta, the capital, according to Wiratno, the head of conservation at the Ministry of Environment and Forestry. 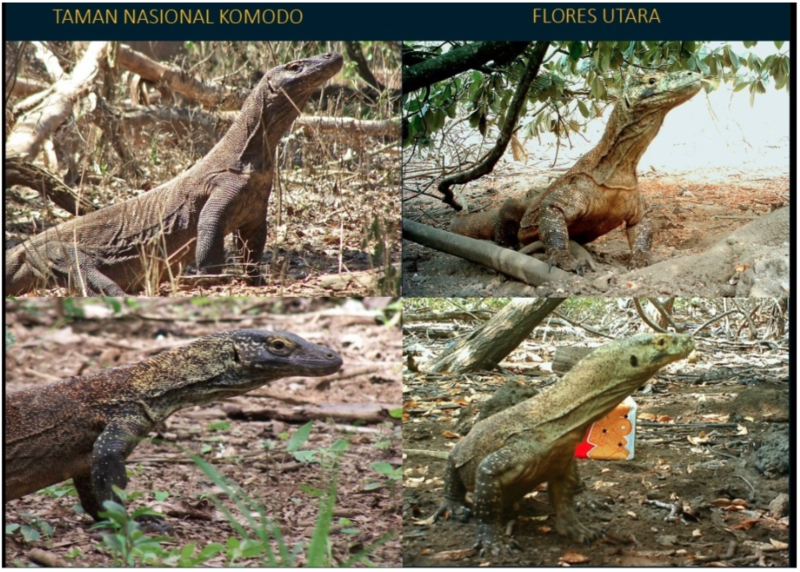 The suspects were found in possession of six baby Komodo dragons (Varanus komodoensis), bearcats (Arctictis binturong), a type of civet, and various endangered birds, including cockatoos and cassowaries. 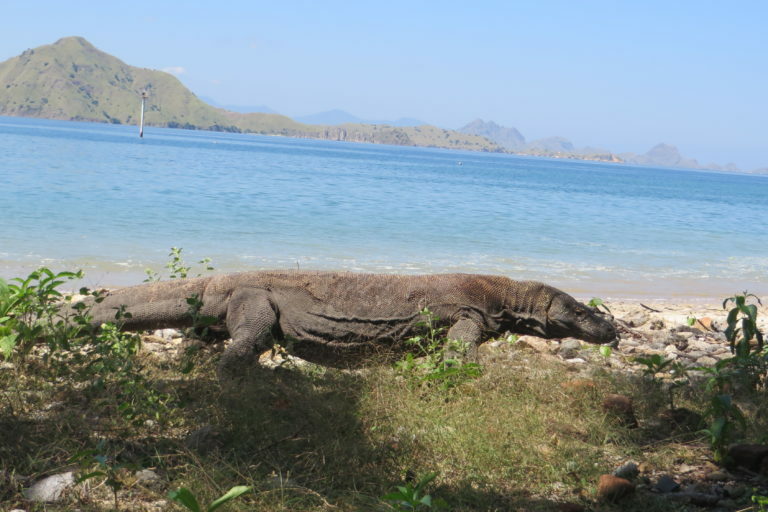 Indonesian authorities have launched an investigation to go after the poachers of the dragons, which are found only on the northern coast of the island of Flores and within the small archipelago that makes up Komodo National Park, a UNESCO World Heritage Site. Wiratno said a preliminary investigation based on genetic tests showed the baby dragons seized from the suspects didn’t come from the park, a protected area, but from the Flores habitat. He added there was a known genetic variation between the two populations. At least 40 percent of illegal wildlife traders in Indonesia relied on online platforms such as the WhatsApp messaging service to carry out their transactions since 2011, according to a 2017 report by the Wildlife Conservation Society, a U.S.-based NGO that assists Indonesian authorities in pursuing traffickers. The group also estimates the value of this illicit animal trade at 13 trillion rupiah ($913 million) a year. A Komodo dragon walking along a beach on Komodo Island. 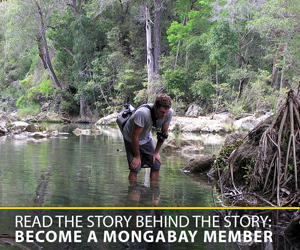 Image by Basten Gokkon/Mongabay. Banner image of a komodo dragon by Jeremy Hance/Mongabay.